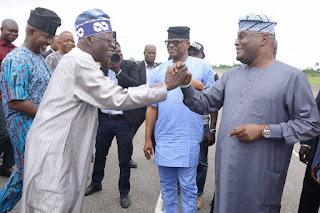 Bola Tinubu, chieftain of the All Progressives Congress (APC), has taken a swipe at Atiku Abubakar, presidential candidate of the Peoples Democratic Party (PDP), over his history of changing political parties. Since he joined politics, Atiku has been a member of the APC, Social Democratic Party (SDP) and PDP. 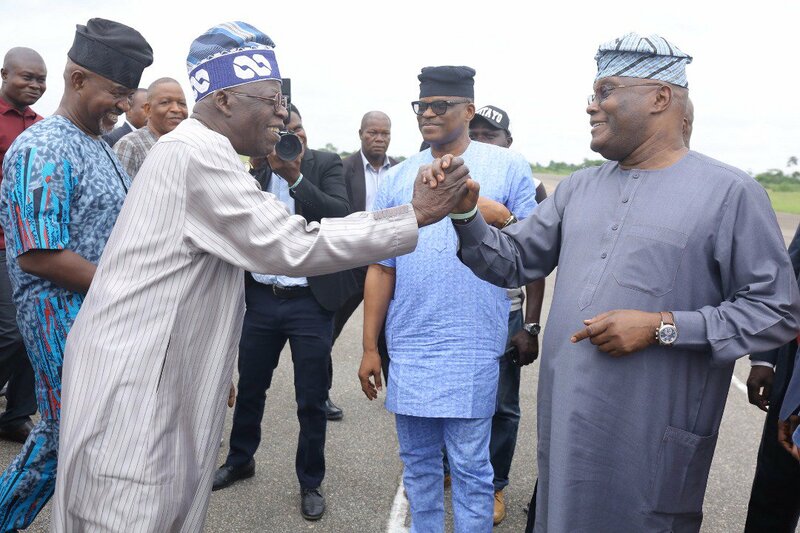 Speaking on Tuesday at a national consultative forum organised by the national committee of Buhari Support Groups in Abuja, Tinubu said Atiku “has more party membership cards to build a house”. The APC chieftain said: “I give you one message for them and there will be many such messages. Their candidate who is supposed to beat Buhari, has been in our party and many other parties. He has more party membership cards to build a house. Tinubu said Nigerians will certainly re-elect Buhari in February 2019, noting that it is a task that must be achieved. The former Lagos governor also criticised Senate President Bukola Saraki over his defection to the PDP, describing him as a dishonest person. He said Saraki “used our mandate to negotiate and give lifeline to the opposition”.